The Plymouth-Canton Community Schools has a gifted group of Principals and Assistant Principals at all levels of the district. Isbister Elementary Principal, Emily Hawthorne, is one of the newest Principals in the district. She is also a graduate of the district. 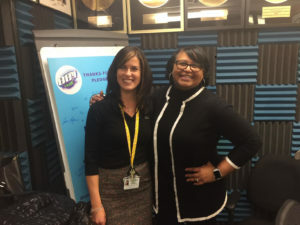 Superintendent, Monica Merritt, spoke with Hawthorne about what drew her back to the Plymouth-Canton Community Schools. The show will air on 88.1 the Park on Tuesday November 20, 27, December 4, 11, and 18 at 5:45 p.m.